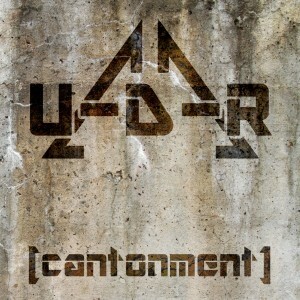 Cantonment was the rebirth of [U-D-R]. Anthony was serving his last year in the army in Korea, with some encouragement from family and friends (and a fellow industrial musician he met there), he began work on reviving the band. There was no real way to record vocals with the equipment he had with him, so he took the best of the [U-D-R] songs that were available to him and rewrote all of the music and tried to improve on the vocals as much as possible. The album finalized in the spring of 2011 and released commercially on the 7th of June, 2011.